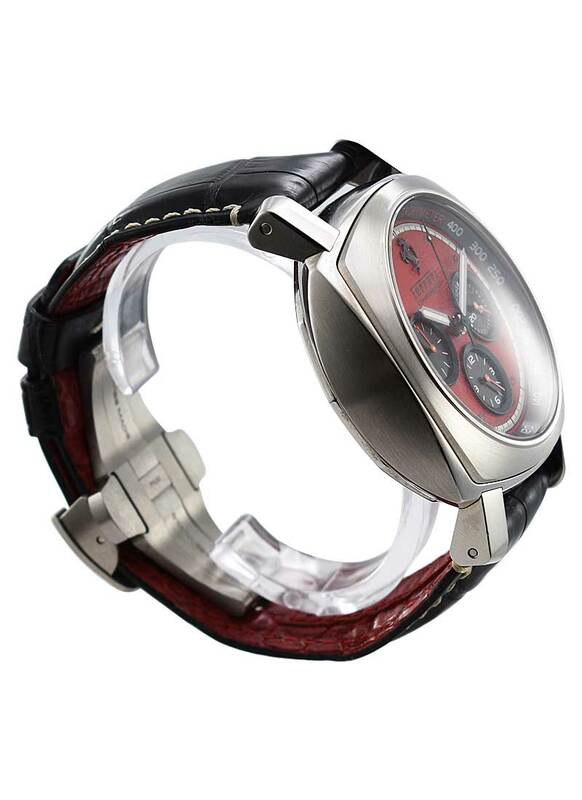 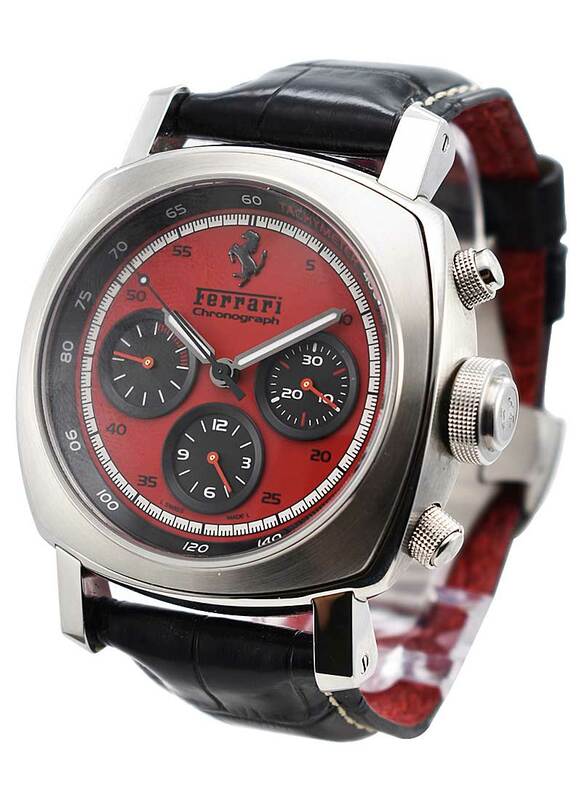 on Black Leather Strap with Red Dial - Limited Edition to 800 pcs. 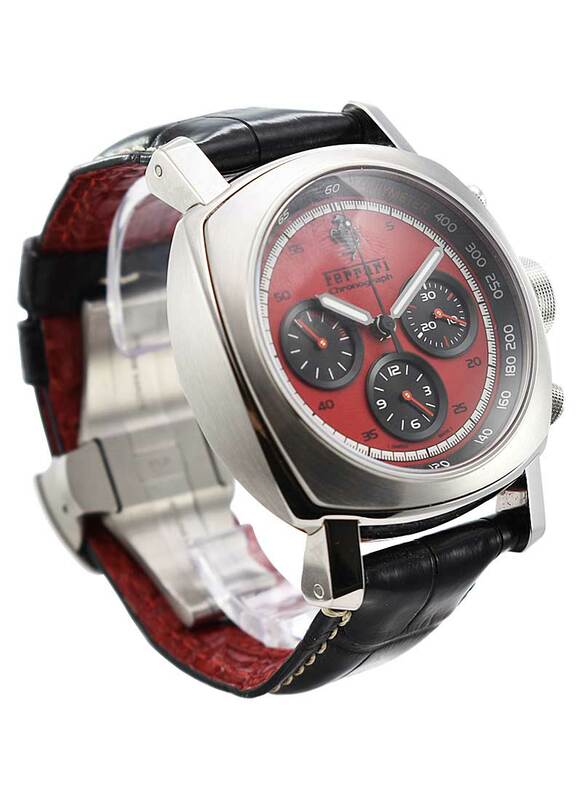 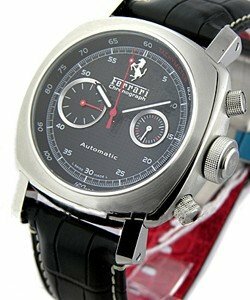 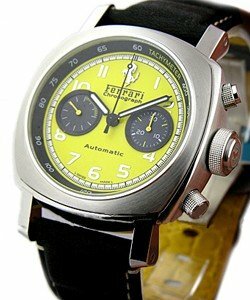 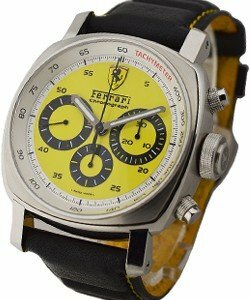 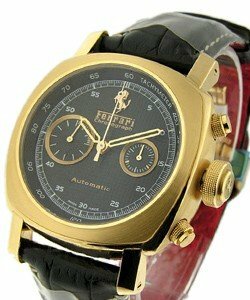 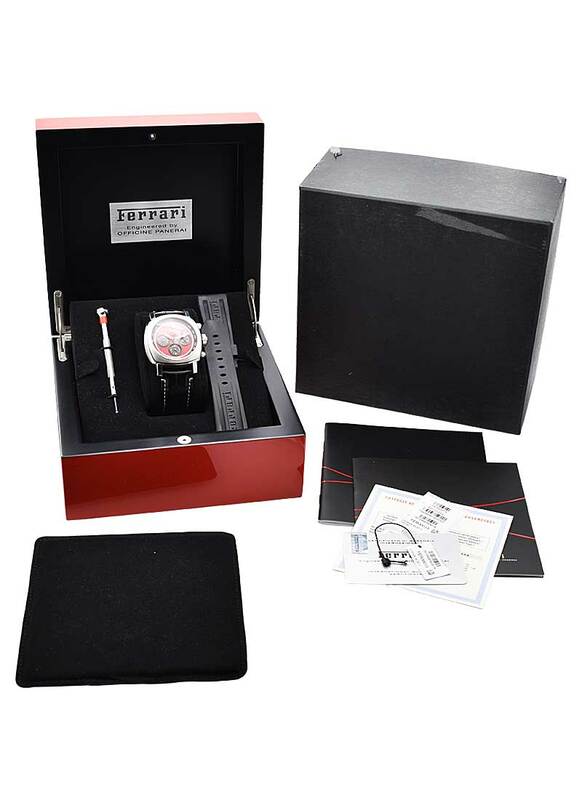 This watch is also known as: FER00013 , FER , FER . 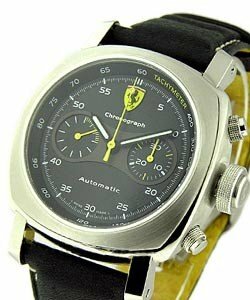 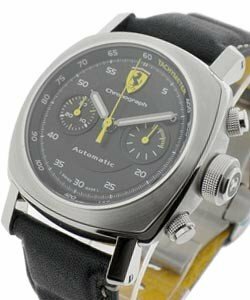 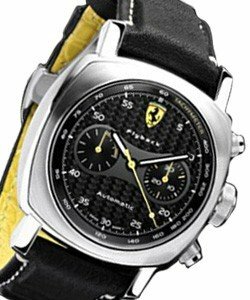 This Panerai FER 013 - Ferrari Chronograph features a brushed steel case of 45mm and 27 jewels. 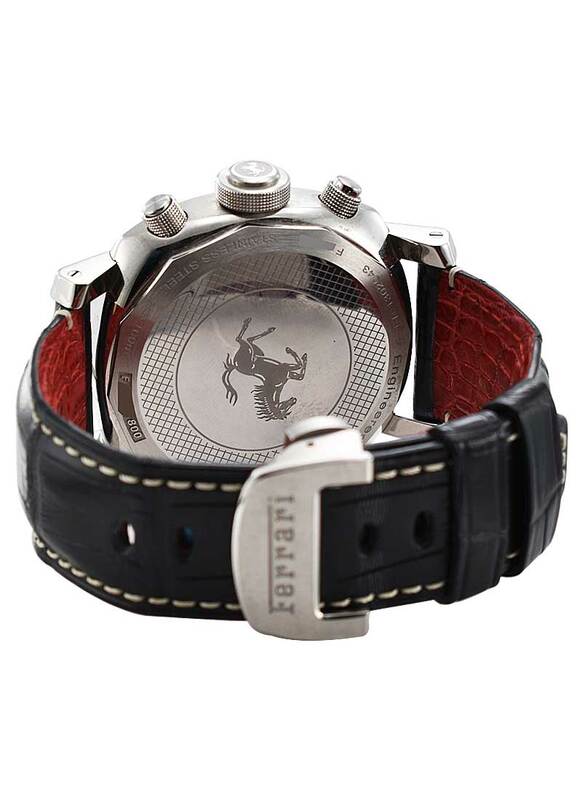 The Panerai FER 013 has the Rotor engraved with the Prancing Horse and features a GrandTurismo Red Dial and a 46 hour power reserve. 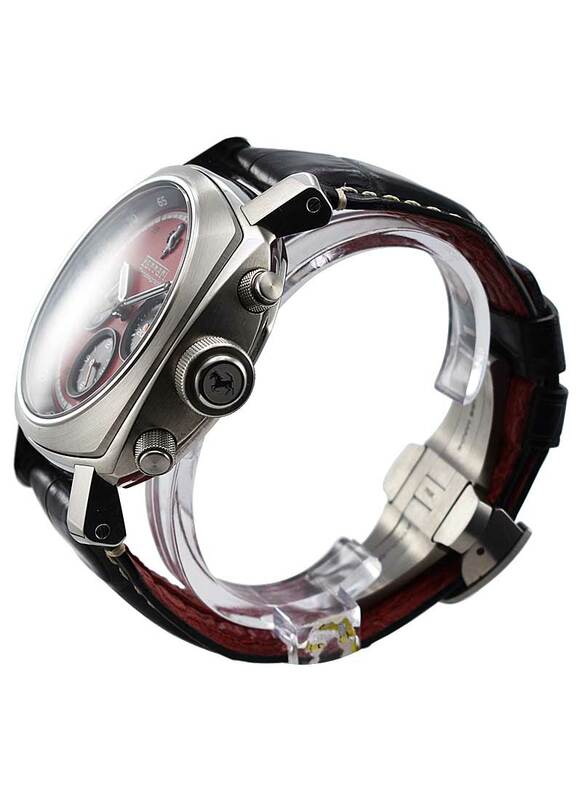 The Panerai FER 013 is complete with a black strap bracelet and automatic movement.